Sydney put on its absolute best day yesterday for the Blackmores Running Festival conditions relished by all the runners who also gave it their best. Over the last number of weeks a number of keen runners from Qantas have been attending early training sessions prior to work to prepare for this event. As part of their commitment to the training they have also been raising funds for Act for Kids a charity who works tirelessly to prevent and treat child abuse and neglect. It was evident that all runners were fully prepared and fit for their event with a display of strong running all the way to the finish. 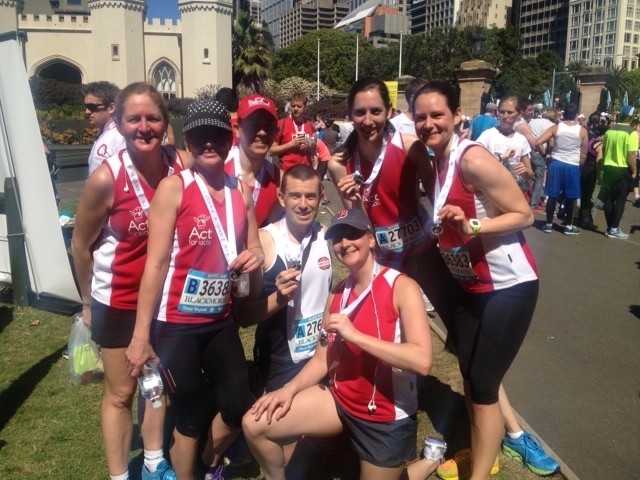 Well done team it has been great to train with you as you prepared for your race.